Over on the Cape Horn Illustration website, they have a lakefront map of Chicago but with tall ships and sea monsters here. 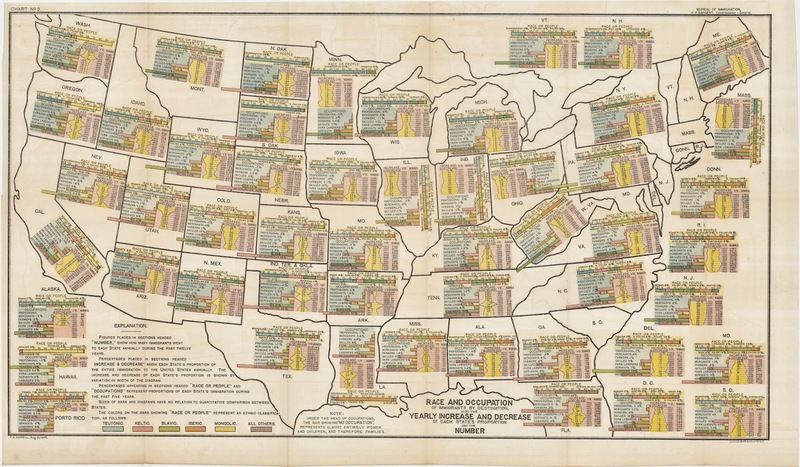 Also, on the Chicagoist website, they have a map "Of Immigration Trends From 1903" in Chicago here. 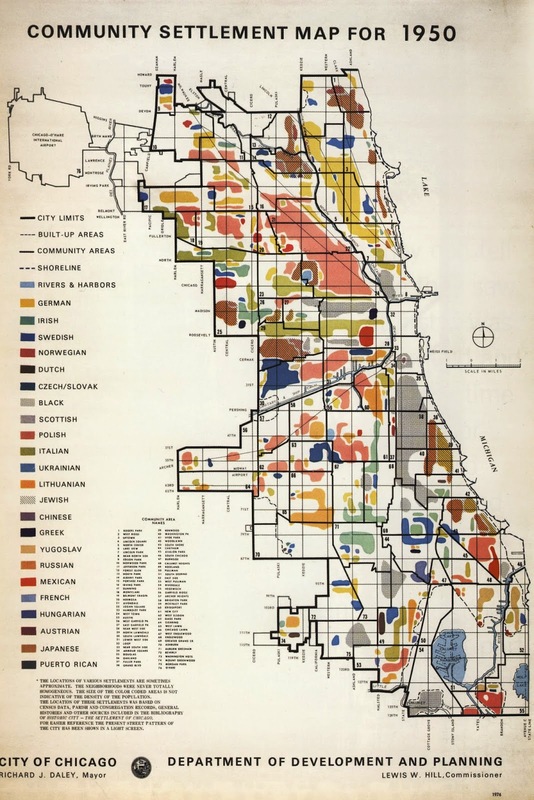 Finally, "Check Out This Map Of Settlement Patterns In Chicago In 1950" on the Chicagoist here.